John Mills, entrepreneur, economist, and Labour donor, defied the party leadership and campaigned for Britain to leave the EU. We ask the chair of Labour Leave what he wants from Brexit. John Mills campaigning in the run-up to the referendum. Paimages/Jonathan Brady. All rights reserved. The CEO of successful retail business JML, which makes consumer products for UK and worldwide markets, is a veteran Labour donor. As a longstanding Eurosceptic, however, he defied the party leadership to campaign for, and fund, the Leave campaign. Eighteen months on, we asked John Mills about what he wants from Brexit. Looking at Lexit: First, then: why did you do it? 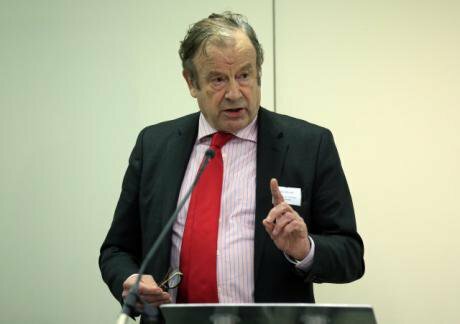 John Mills: I have never been violently against the EU, but I campaigned for Leave rather than Remain because, on balance, I thought that in the long-term the UK would be better off outside the EU than as a member of it. LaL: You’re a businessman, and an economist: most of your peers thought the opposite. Why were they wrong, do you think? JM: I think their models were largely wrong. Most economists endorsed the views put forward by the Treasury, the Bank of England, the OECD and the IMF that the UK economy would tank if the referendum vote resulted in a Leave outcome. When this materialised, the anticipated downturn did not happen. LaL: You’re also a loyal Labour donor. When you left the official Vote Leave campaign to chair Labour Leave, you said there needed to be “a distinctive voice” making the Labour case for Brexit. In the cacophony of the Brexit debate, do you think this voice was heard? JM: I think it was. There is considerable evidence that during the two months running up to the referendum, when Labour Leave was active, about 10% of the 9.3m people who voted Labour in 2015 switched from Remain to Leave when voting in the June 2016 referendum. LaL: Some Leave voters define themselves as “lexiters”; they regard the EU as a malign institution, whose consumer and workplace regulations merely mask the lubrication of the wheels of capital. Do you see the EU as an obstacle to the pursuit of a more responsible capitalism? JM: Broadly speaking, I don’t. However, I am not sure how much sense some of the four freedoms make, especially unrestricted migration across a very steep economic gradient between eastern and western Europe. LaL: What positive outcomes of Brexit have you seen so far? JM: I think the main one has been some resurgence of manufacturing industry as a result of the depreciation of sterling triggered by the EU referendum result. LaL: You have long been a strong advocate for a large devaluation as a way of fixing the UK's economy. 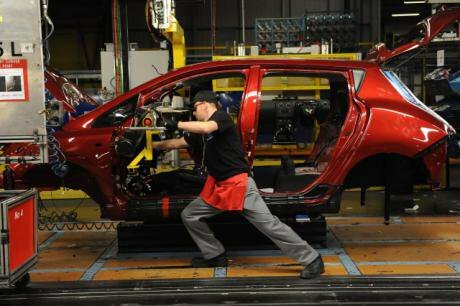 In broad-brush terms, your view is that we will get good jobs in industrial heartlands and productivity growth if we rebalance towards manufacturing, and that a devaluation of sterling is needed to do this. Do you think of your Leave and Devaluation campaigns as being linked? JM: Essentially, there are two separate issues here – rebalancing the UK economy seems to me to be pretty urgently required whether or not Brexit was taking place. The two issues do merge together though in that the prospect of Brexit brought sterling down, following the EU referendum, from around $1.45 to $1.25, although it is now back to around $1.35, and if there is a hard Brexit I have little doubt that it will fall again. LaL: You think that we will “better-off” outside the EU. Other than devaluation, are there other long-term economic benefits of Brexit? JM: In my view, whether we are in or out of the EU won’t make nearly as much difference to the future of the UK economy as the choices we make on domestic economic policy – and what happens in the rest of the world. There will eventually be some gain to the UK economy from paying less into the EU budgets and perhaps from the UK having more free trade agreements, although these are two-edged swords. We won’t gain from mutual tariff reductions unless we are competitive enough to hold our own. Since the referendum, some UK exports, including cars, have done well. Others have struggled. PAimages/Anna Gowthorpe. All rights reserved. LaL: How might a Labour-led Brexit differ from a Tory-led Brexit? And with the Tories likely to remain power until 2019, what role do you see for Labour in influencing the negotiations? JM: I think there is some danger that a Labour Brexit would be more expensive than a Conservative one as a result of Labour being exceptionally unwilling to contemplate trading with the EU on WTO terms, thus significantly weakening the UK’s bargaining position. Because of the narrow and relatively unstable government majority since the 2017 election, Labour may even weaken this bargaining position from the opposition benches. LaL: So you see WTO terms as an option, at least for bargaining purposes. But what would be your preferred outcome for the UK? Single Market, EEA or EFTA status? Or something else? JM: I think the best outcome would be for the UK to be out of the Single Market, the European Economic Area and the Customs Union but with a comprehensive Free Trade Deal in place between the UK and the EU27. LaL: A trade relationship that you have argued is currently very bad for the UK economy. You are worried that we are living off either borrowing from abroad or selling "family silver" to pay for our imports. LaL: You point out that our biggest trade deficit is with the EU. JM: Almost all of it. LaL: You also argue that the main tool for tackling this problem should be the exchange rate. But what about import tariffs? In a Labour Brexit future, might such tariffs, above single market levels but below WTO standards, be used to boost domestic production? JM: As a very general rule, I think that devaluation is a much better solution than tariffs or quotas. Tariffs and quotas do nothing to make exports more competitive – indeed the reverse if they make inputs more expensive, thus making much more difficult for them to satisfy the Marshall-Lerner condition for improving net trade. They involve collection expenses and market distortion – and once they get above a fairly low level they encourage evasion. For all these reasons I think we should avoid this kind of protectionism like the plague. LaL: You’re against protectionism, then? JM: I have always had serious reservations as to whether policies like this deliver the hoped-for results. JM: I don’t think that either the interventionist industrial strategies favoured by the left, or the deregulation and more competition favoured by the right will do much good. On the contrary, I think we need to use market forces, targeted by the government, to make investment in manufacturing profitable again, to provide a foundation for the restructuring which I think the economy so badly needs. *We will be investigating the CAP and CFP as part of a later article in the Looking at Lexit series. If you’d like to contribute, please get in touch! This article is part of our Looking at Lexit series, examining the left case for exiting the EU. Disclaimer: John Mills sits on the openDemocracy board, and is donor to the website; however, he has had no involvement in the funding or commissioning of this series.